I used to do a lot of running in high school, but honestly never ran any 5K, 10K or half marathons. And marathons forget it! I have always enjoyed running and was introduced to it by my best friend Kristen. 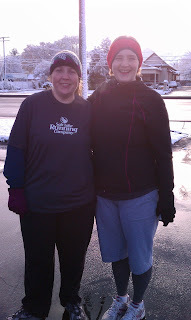 My sister Cammy is always encouraging me to run with her and finally I am. My goal this year is a half marathon in October. This was my first 5K ever and I am proud of my sisters and I for running our little hearts out. 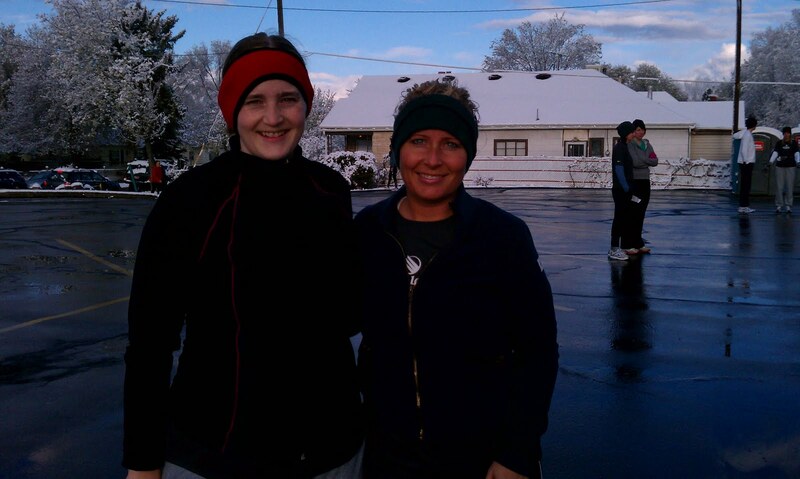 It snowed that morning and was really cold, but I did it. I would tell you how fast I ran it, but I am afraid you all will make fun of me so lets just say I ran it under an hour. Hahaha. Amazing! You girls are so cute! Good job!!!!! Oops! I was signed in as Chad. That comment was really me. Bye!